CASSANDRA KHAW writes horror, press releases, video games, articles about video games, and tabletop RPGs. These are not necessarily unrelated items. Her work can be found in professional short story magazines such as Tor.com, Clarkesworld, Fireside Fiction, Uncanny, and the scientific journal Nature. 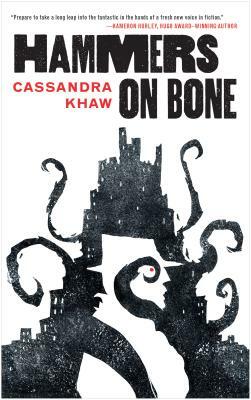 Cassandra’s first original novella Hammers on Bone came out in October 2016. To her mild surprise, people seem to enjoy it.